Got a Grease Interceptor Emergency? with a healthier kitchen, I have happier staff and customers! Got Grease? Let us help! for the most essential and demanding jobs! Our ASTT Certified technicians are on standby and ready to serve you! Regular maintenance will ensure smooth operations, and help agains clogs and backed up drain pipes..
More than 900 Restaurants in Greater Vancouver trust thier kitchen to Grease Ducks! Fixed Fire Suppression Systems, Grease Interceptors, etc. 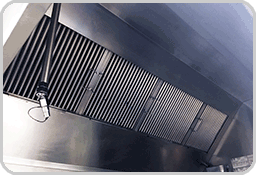 Fire Prevention, Kitchen Exhaust Hood Cleaning, Grease Trap Cleaning are all service that require regular maintenance. With our "Set and Forget System", you can concentrate on your business while we take care your essential kitchen needs. 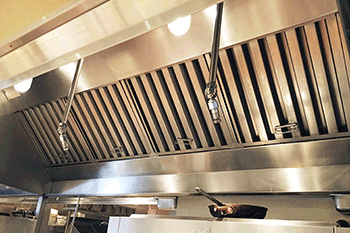 Let us install a fully certified UL(C) Listed Kitchen Exhaust System and Fire Suppression System that meets or exceeds NFPA 96 and the BC Fire Code requirements. 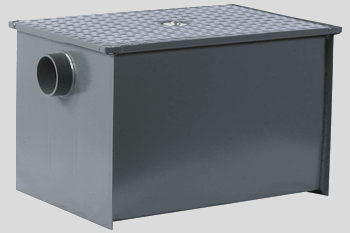 We can also assist in replacing or installing a new Grease Interceptor. Considering purchasing a used restaurant? Like purchasing a used car or home, take advantage of having a professional inspect the kitchen to determine it's level of building and fire code compliance before you get stuck with a huge expense! A Relentless Understanding of Commercial Kitchens! We understand that Commercial Kitchens and Grease go hand-in-hand! The battle to remove combustable material from every corner of your exhaust system is our mandate. 24 Hours a Day, 7 Days a week, Rain or Shine, Our technicians are on standby, and ready to serve you with whatever your kitchen needs are. Unlike other kitchen hood cleaners Grease Ducks provided proof of service with a detailed report, and pointed out issues that i never would have thought were problems. 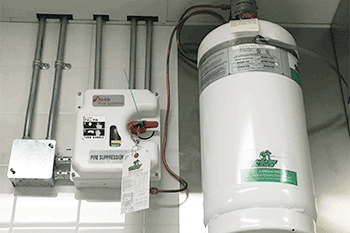 I needed a fire suppression system installed, and needed it done within a week. Grease Ducks professionaly installed the unit, worked with both the engineer and city inspector to get it certified and my restaurant opened on time. Thanks. Yes, I am interested in receiving the following free Grease Ducks newsletter's. I understand that by signing up, I am agreeing to the terms and conditions set forth by Grease Ducks Ltd., and can cancel and anytime.